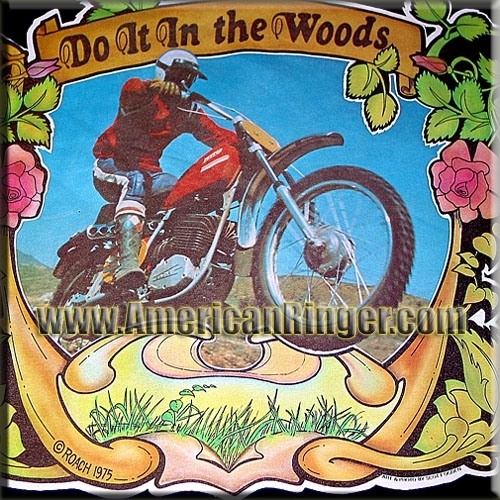 This awesome 32-year-old print simply says it all, "Do It In The Woods!" Check out that classic dirtbike, sweet! Who knows what make and model it is? Shoot us an email! These shirts are extremely difficult vintage items to find and will sell out very quickly so get yours today! AmericanRinger.com acquired these rare vintage shirts and NOBODY ELSE HAS THEM! This is the real deal vintage stuff and once they are gone they will be gone forever.